Transformed into a show with the participation of industry professionals, participating companies, press members and guests, the ITM 2018 Exhibition continues enthusiastically for company owners and representatives. During the exhibition, many textile machine leaders are launching their new technologies for the world. 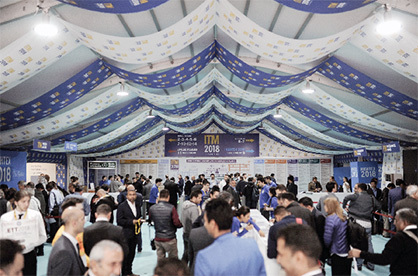 Being the most important textile technology exhibition in the region where thousands of companies from all over the world are participating, and thousands are visiting, the ITM 2018 is being held with the participation and visits of hundreds of producers worldwide, and investors from all over the world. At ITM 2018, companies serving in all the sub-sectors of the industry, from cotton to yarn, weaving, knitting, digital printing, dyeing and dressing, bring together their latest technological products. Purchasing committees from many countries including Iran, Uzbekistan, India, Russia, Egypt, Morocco, Panama, Tunisia, Ethiopia and Kenya are coming to the exhibition. Also the Colon Free Zone of Panama, the world's second largest Free Zone, is opening its booth for the first time at ITM. Introducing the latest machinery and technologies of the world's leading brand in the textile machinery world, the exhibition is offering tremendous business opportunities for all professionals who want to stay up-to-date about the industry and follow the innovations. Being the first and only exhibition in its field and is held for the seventh time this year, the Hightex 2018 is awaiting its visitors at Hall 9. At Hightex 2018, textile producsts such as nonwoven, technical textile, intelligent which are rapidly complying the technological developments in the industry are being introduced. Continuing to be one of the most important platforms guiding the yarn industry, the Yarn Exhibition hosts industry representatives. 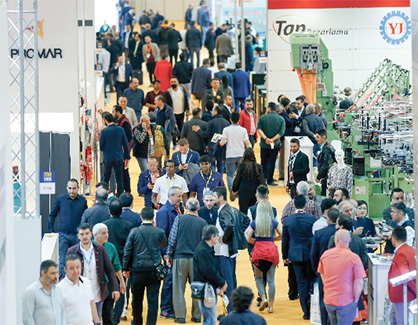 High-performance and quality products of the top producers in the industry are exhibited at Hall 11 during the exhibition. More News from Teknik Fuar. ve Yayin. Reklam. Danismanlik Tic. Ltd. Sti.